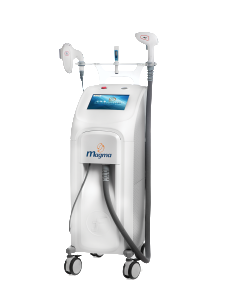 3 Powerful technologies in one system: The 808nm Diode Laser (Hair removal) – The 1064nm Nd:YAG (Vascular Lesions / Hair Removal) – Intense Pulse Light (IPL) (Hair Removal / Pigmentation lesions / Skin Rejuvenation / Acne). 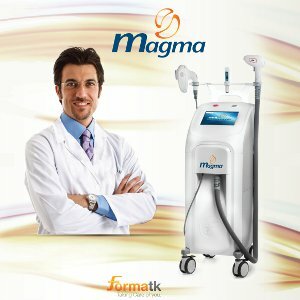 The MAGMA Platform allows practitioners multiple treatments modes. Treatment flow and mode selections are made easy by the seamless integration with the melanin-meter (a diagnostic device). The Melanin-meter collects live readings of melanin concentration levels in the patient skin and recommends a treatments program accordingly. 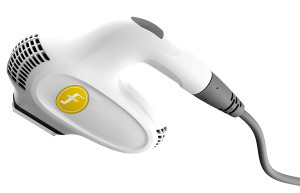 Therefore allowing better control, increase efficiency and reduced risks across all skin types. Featured in the ALD and LLD applicators is one of the fastest hair removal systems and the optimal choice for high-volume Hair Removal procedures, offering fast, effective and painless treatments with maximum coverage area of up to 18 cm² per second. In order to minimize discomfort and the potential skin damage, an efficient skin cooling system (Sapphire contact cooling tip) is used to chill the skin before, during and after the treatment. 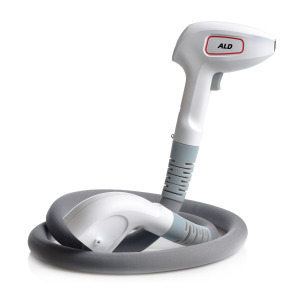 The ALD 808 nm applicator is clinically effective and safe hair removal applicator for all skin types. The ergonomically and lightweight design makes it convenient and easy to use. The light guide (tip size) on the applicator is 12X10 mm allowing pinpoint treatments in specific areas. A neodymium YAG laser is powered by a matched high efficiency laser diode allowing fluence of up to 220 J/cm2, resulting in a compact, high-efficiency and long-lifetime Nd:YAG applicator. Forma-tk’s Nd:YAG applicator features a 1064nm long-wave laser, providing deep penetrations depth for a safe and effective approach to coagulate blood also in deep and thick blood vessels. Powered by an advanced laser diode, the applicator offers extended life span amounting to an average of six times the number of pulses compared with the competitors. 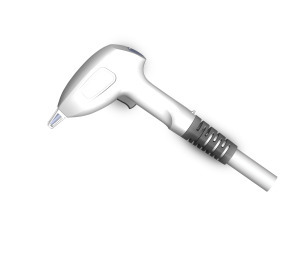 Forma-tk’s Nd:YAG applicator offers a safe and effective approach for treating Vascular lesions, including: spider and thread veins, capillary vascular malformations, varicose veins,. The Nd:YAG applicator also offers safe and effective Hair Removal treatment for all skin types including specially designed modes for dark skin types (including skin types V and VI) and deep hair follicles. The Nd:YAG applicator arrives with three interchangeable sapphire tips, 3mm for superficial fine vessels, 5mm for medium size veins, and 8mm for deep veins / large areas.